Our friends over at Iceberg in Buenos Aires have completed one of the first surveys I’ve seen on global virtual teams in Latin America. I’d like to congratulate them and thank them for this effort! An astounding 88% of respondents to the survey confirm that the advantages of working in a global team outweigh the challenges! Their major reason? The diversity of perspectives, knowledge, and expertise among team members, which in their experience can generate innovative solutions and outstanding results. Over 30% of the respondents reported spending more than half their work days interacting with colleagues around the globe; another 56% spend between 10-50% of their work days interacting with global clients. 68% of their global teams get together face-to-face at least once a year but, surprisingly, they prefer video conferences over live meetings! Even though respondents view video conferencing as their best coordination tool, only 32% of them use it in all their virtual meetings. Survey results showed that diversity on these teams arose due to functional necessity, rather than because of its inherent benefits. Over half of those responding report their companies have lost opportunities due to cross-cultural misunderstandings. Despite this fact, only 21% of them report having received training to improve their virtual team’s productivity! Even sadder to me is that 53% of those who have received training did so in a webinar, 32% via e-learning, and only 16% had the opportunity to attend a face-to-face training or team-building session. Come on, Latin America! OJO! We’ve got work to do! What did the respondents say is most complex about working in a global virtual team? First is including colleagues that don’t participate, then sending messages that are adequately understood, following up on what teammates are working on, and achieving agreements and decisions. 69% said the lack of co-location makes it more challenging to create trusting relationships, 68% said the distance makes it difficult to understand the context of colleagues’ communication, and 60% noted that distance can therefore generate conflict. What qualities do they feel are most important for success on a global team? Communicating with clarity, adapting to cultural differences, and demonstrating a collaborative spirit. Below is a visual that Iceberg created to summarize their findings. While there were only 86 respondents from four countries included in the survey, it is a good start. Respondents were representative of what we might expect in Latin America: 54% work for enterprises with fewer than 5000 employees, and 25% work for organizations with over 20,000 employees worldwide. 27% of the respondents were manager level, with 16% at director level. Most were from the IT industry, followed by consulting, education, and consumer products. 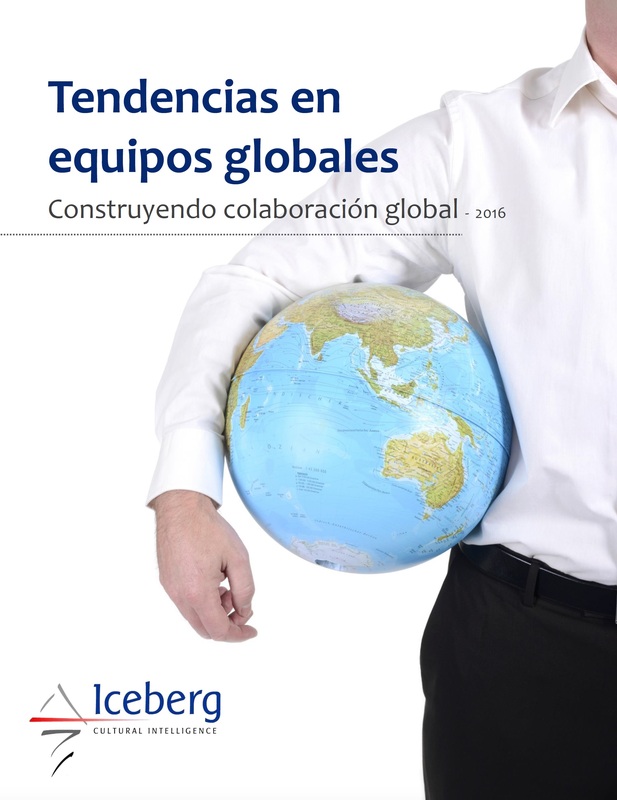 The full Iceberg report (in Spanish) can be downloaded here. Overall, the sample is fairly small and rather skewed, however it is useful for gathering ideas on how to make our virtual teams more effective, and some of the uniqueness we might find with teams and team members based in Latin America. If you work with global or virtual teams, be sure to check out Cultural Detective Global Teamwork, a powerful developmental competence tool that is included in every subscription to Cultural Detective Online. This entry was posted in Data for research and reports and tagged competencia intercultural, comunicación intercultural, cross-cultural skills, Cultural Detective, equipos globales, equipos virtuales, global business effectiveness, global diversity, global teams, Intercultural Communication, intercultural competence, multicultural society, virtual teams by Dianne Hofner Saphiere. Bookmark the permalink. Thanks for sharing, Dianne. Global virtual teams are challenging and yet a common place occurrence. We are running a 6-week long project co-sponsored by the University of Southern California and IBM that focusses on developing virtual leadership, cross-cultural communication, and virtual teamwork skills. For more information see https://www.marshall.usc.edu/faculty/buco/virtual-business-professional-project and contact me if you want your students to participate. We are still accepting application for Spring 2017. Sounds wonderful, Jolanta. We trust Cultural Detective will be part of the project! Happiest of holidays and all the best in the new year!